Born in Samrong Young, Cambodia, Ngor trained as a surgeon and gynecologist. He was practicing in the capital, Phnom Penh, in 1975 when Pol Pot’s Khmer Rouge seized control of the country and proclaimed it Democratic Kampuchea. He was compelled to conceal his education, medical skills, and even the fact that he wore glasses to avoid the new regime’s intense hostility to intellectuals and professionals. He was expelled from Phnom Penh along with the bulk of its two million inhabitants as part of the Khmer Rouge’s “Year Zero” social experiment and imprisoned in a concentration camp along with his wife, My-Huoy, who subsequently died giving birth. Although a gynecologist, he was unable to treat his wife, who required a Caesarean section, as he would have been exposed, and both he and his wife (as well as the child) would very probably have been killed. After the fall of the Khmer Rouge in 1979, Ngor worked as a doctor in a refugee camp in Thailand and left with his niece for the United States on August 30, 1980. In America, Ngor was unable to resume his medical practice, and he did not remarry. In 1988, he wrote Haing Ngor: A Cambodian Odyssey, describing his life under the Khmer Rouge in Cambodia. 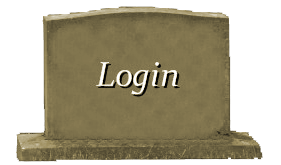 In the second edition of Survival in the Killing Fields, Roger Warner, Ngor’s co-author, adds an epilogue telling the story of Ngor’s life after winning the Academy Award. The Dr. Haing S. Ngor Foundation was founded in his honor in 1997 to assist in raising funds for Cambodian aid. As part of his humanitarian efforts, Ngor built an elementary school and operated a small sawmill that provided jobs and an income for local families. Ngor’s niece, Sophia Ngor Demetri, who testified at the trial of his murderers and with whom he arrived to the U.S., is the current president of the Foundation. 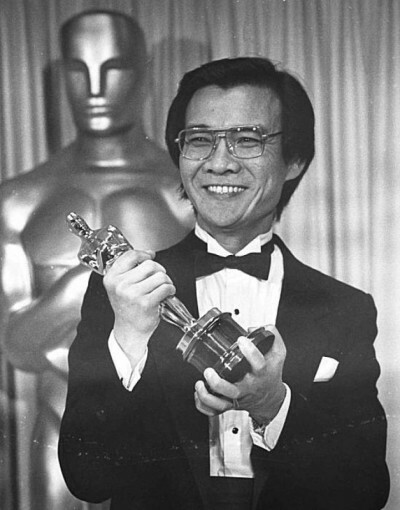 Ngor, despite having no previous acting experience, was cast as Dith Pran in The Killing Fields, a role for which he later won three awards, including a Golden Globe Award and an Academy Award for Best Supporting Actor, the first Asian to win Best Supporting Actor in debut performance . Ngor was not interested at first in the role of Dith Pran but after interviews with the filmmakers he changed his mind, remembering that he promised his late wife to tell Cambodia’s story to the world. Ngor became the second Asian actor to ever win an Oscar. After appearing in The Killing Fields he told People magazine, “I wanted to show the world how deep starvation is in Cambodia, how many people die under communist regime. My heart is satisfied. I have done something perfect.” Ngor also appeared in other movies and TV shows, most memorably in Oliver Stone’s Heaven & Earth and the Vanishing Son miniseries. He also appeared in the Hong Kong film Eastern Condors, which was directed by and starred Sammo Hung. He also appeared in a supporting role in the 1989 Vietnam War drama The Iron Triangle. He guest-starred in a two-episode storyline on the acclaimed series China Beach (episodes “How to Stay Alive in Vietnam 1 & 2”) as a wounded Cambodian POW who befriends Colleen McMurphy while under her care. He also guest-starred in an episode of Miami Vice called “The Savage / Duty and Honor”. He also played a role in My Life aside Michael Keaton. 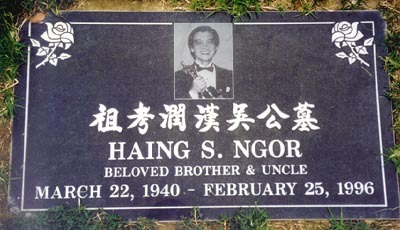 On February 25, 1996, Ngor was shot dead outside his home in Chinatown, in downtown Los Angeles, California. Many Cambodians claimed they had a stake in his estate, with one woman claiming he had married her after coming to the United States. Most of Ngor’s Cambodian assets went to his brother, Chan Sarun, while his American assets were used up in legal fees staving off claims to his estate. 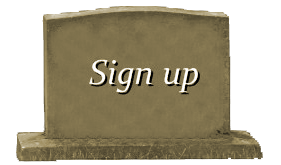 He was buried at Rose Hills Memorial Park in Whittier, California. Charged with the murder were three reputed members of the “Oriental Lazy Boyz” street gang, who had prior arrests for snatching purses and jewelry. They were tried together in the Superior Court of Los Angeles, though their cases were heard by three separate juries. Prosecutors argued that they killed Ngor because, after handing over his gold Rolex watch willingly, he refused to give them a locket that contained a photo of his deceased wife, My-Huoy. Defense attorneys suggested the murder was a politically motivated killing carried out by sympathizers of the Khmer Rouge but offered no evidence to support this theory. Kang Kek Iew, a former Khmer Rouge official on trial in Cambodia, claimed in November 2009 that Ngor was murdered on Pol Pot’s orders, but U.S. investigators did not find him credible. Some criticized the theory that Ngor was killed in a bungled robbery, pointing to $2,900 in cash that had been left behind and the fact that the thieves had not rifled his pockets. Why the thieves would have demanded his locket has never been answered; Ngor typically wore the locket next to his skin under his clothing, so it would not have been in plain sight. As of 2003, the locket has not been recovered.